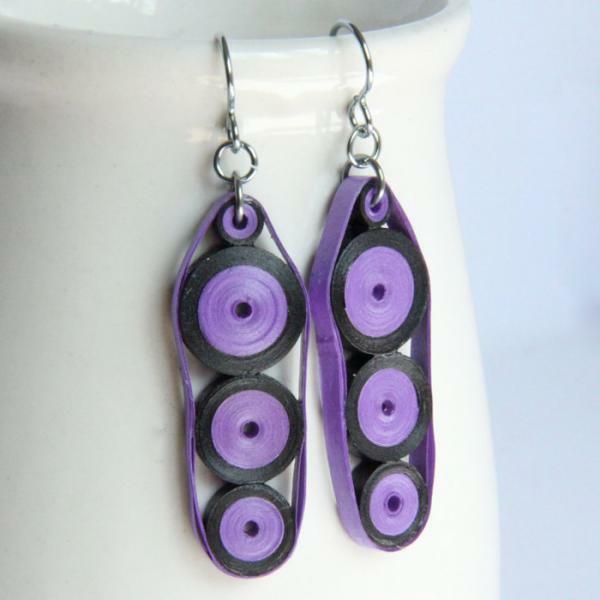 These stunning neon fashion earrings are eco friendly and handcrafted by the art of paper quilling. 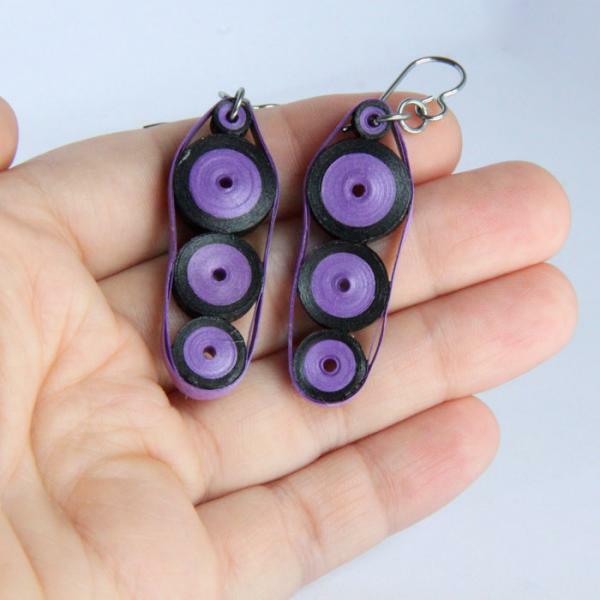 I used strips of specialty quilling paper in purple and black to create this unique design. They are carefully hand varnished in several layers for a water resistant finish. Each earring measures 1/2" (1.4cm) wide near the top and 1 1/2" (4cm) long not including the jumprings or earwires. These special earrings are finished with niobium jumprings and earring hooks. Why niobium? It is as hypoallergenic as pure gold and is non tarnish! I love it for my own earrings and I know you will too.